We have a custard apple plant (above) grown in a huge pot for about eight years. Initially, it was fruiting, though the fruit were not big. Recently, there have been plenty of flowers, but they do not bear fruit. What is wrong? Low fruit production could be due to the lack of natural pollinators in your garden. The population of natural pollinators can be low in an urban setting due to the lack of vegetation and when insecticides, such as mosquito fogging and for pest control in the garden, are used. Custard apple flowers, like those of the soursop plant, feature two stages of floral development. The female stage occurs first. A few days later, the same flower progresses to the male stage of flowering, where pollen will be shed. Due to the lack of pollinators and this unique floral development, hand pollination, taking note of the flower development, is often necessary to increase the chance of fruit production. Pollen first needs to be collected using a fine brush and can be stored for several days in the refrigerator. When there are flowers in the female stage, the pollen collected earlier can be transferred for pollination. There are numerous pictorial resources on the Internet you can refer to. A plant grew out of the blue in my pot of limau purut and is propagating a lot of smaller plants (above). What should I do? 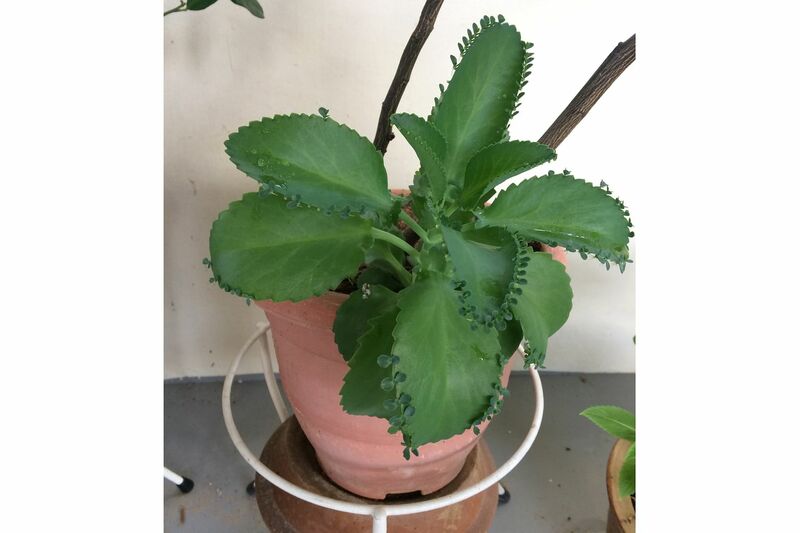 The plant is known as Mother of Thousands and its botanical name is Kalanchoe laetivirens. 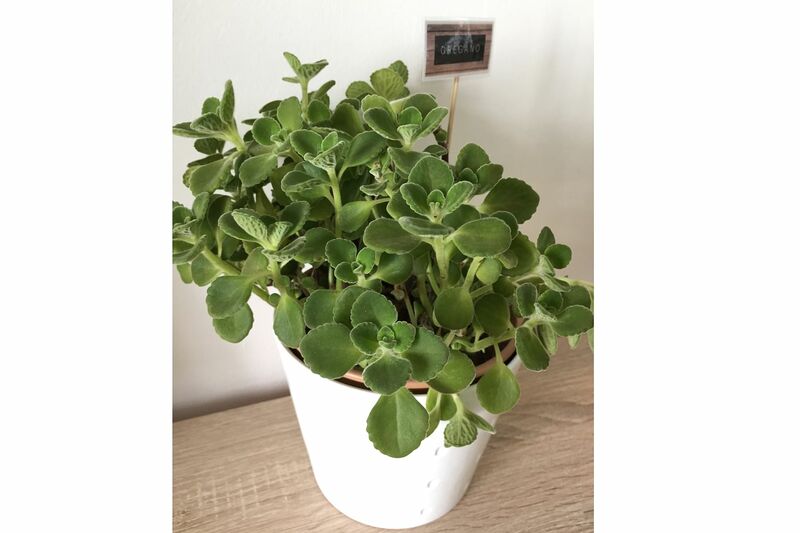 It is related to the Kalanchoe pinnata that was once used as an example to illustrate the leaf-cutting propagation method in Singapore's primary school science curriculum. Mother of Thousands produces numerous small plantlets on the edge of the leaves and can become weedy. If it bothers you, you can either remove the small plantlets and discard them or give themto others keen to grow it. Keep it away from dogs and cats as it is toxic to the animals if ingested. Barely into its second or third week, the oregano (above) I bought is starting to show signs of dying. 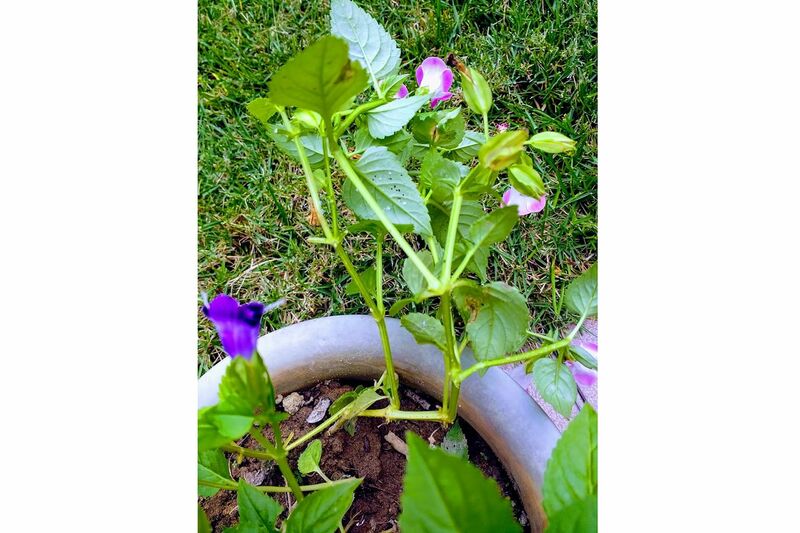 Most of its stems are softening and turning brown and its leaves are withering and falling off. I place the plant in an area which is exposed to indirect sunlight and water it about twice a week. I was told it is an indoor plant which requires little watering and should be placed in a shady area. Can it be saved? The plant is known via various confusing and interchangeable common names such as the Cuban oregano. Its botanical name is likely Plectranthus montanus and hence closely related to the very common Indian Borage (Plectranthus amboinicus). This plant is drought-tolerant and needs a site with filtered sunlight to thrive. It is best grown in a well-drained media. Depending on where it is produced, the soil may be too moisture-retentive, which can lead to root rot if the plant is grown in a shady spot. The clump on the plant should not be too dense as it will prevent moisture that is deep in the crown from evaporating. Sunlight will also be unable to penetrate the canopy. Water when the media feels slightly dry. The soil should not be wet all the time. To propagate the plant, you can take healthy tip-cuttings of the plant and root them in a pot with well-drained media. This plant (above) is grown from a stem cutting after being rooted in water. It looks dainty and pretty, and can be seen growing around neighbourhoods. What plant is this and is it edible? Many readers have asked similar questions about this plant. It is often confused with the true dill (Anethum graveolens). 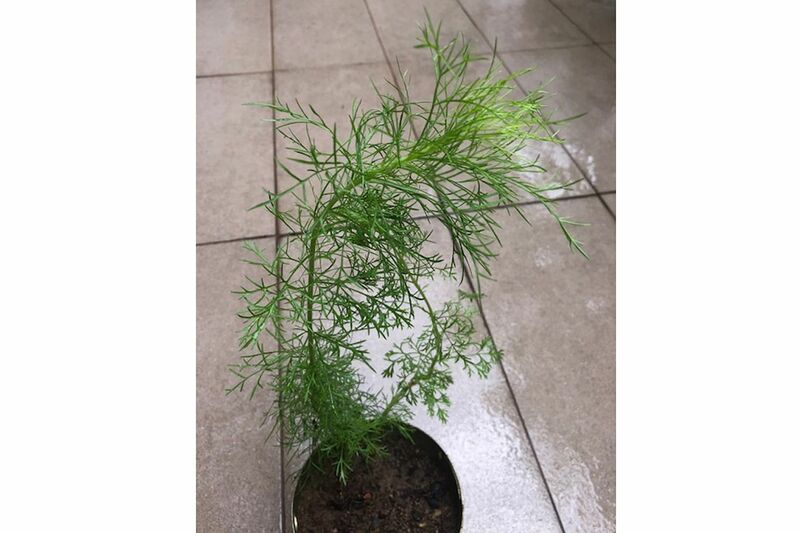 This is a shrubby plant with fine feathery leaves and it is commonly known as dogfennel. Its botanical name is Eupatorium capillifolium. The true dill is a small herbaceous plant that grows similarly like the common coriander, except it has blue-green, fine feathery leaves. Unlike the true dill, Eupatorium capillifolium contains toxic alkaloids which may interfere with liver function. Hence it is best treated as an ornamental plant. How do I get rid of the small white insects and bugs on the back of the leaves of my plants (above)? The white bugs move from one leaf to another and, when I think they are dead, they turn black and stay on the leaves. The pests are also on the leaves of my tomato plants and vegetables such as kangkong. Your Wishbone Flower (Torenia fournieri) looks like it is infested with white flies. The spots that turn black are a stage in the life cycle of some white flies. You can use summer oil, neem oil or a soap solution to spray the plant. Pyrethrum insecticide is also effective against white flies. Ensure all surfaces are covered and repeat the application to make sure the pest population is kept low and at a level that is not detrimental to plants. Follow the instructions on the label to dilute pesticides before using them and avoid spraying early in the day when natural pollinators are active.